The extraordinary success of imatinib for the treatment of chronic myeloid leukemia (CML), gastrointestinal stromal tumors and subgroups of patients with hypereosinophilic syndrome and chronic myelomonocytic leukemia has greatly stimulated the development of small molecule inhibitors for targeted therapy of malignant diseases. Nothing short of a major breakthrough, imatinib has undoubtedly set a precedent and provided proof of principle for a completely new concept in cancer therapy. Unfortunately, diseases other than CML may prove more resilient to targeted tyrosine kinase inhibition, and even in CML, acquired resistance is a significant clinical problem. 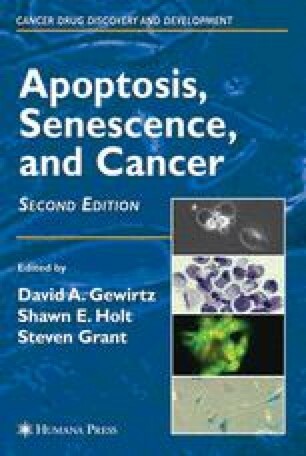 This chapter will review the current status of tyrosine kinase inhibitors for therapy of malignant disease. Much space will be given to imatinib, as the experience gained from the development of this agent is applicable to other conditions. The emerging concept is that for the patient’s maximum therapeutic benefit, disease classifications will have to integrate therapeutic targets, and this will have implications for clinical trial design.